Floods, fires, leaky pipes and other disasters can wreak havoc on your home and leave you worried about what to do next. You’re worried about immediate and long-term damage, and your belongings, including your carpet, rugs and furnishings, are soaked. 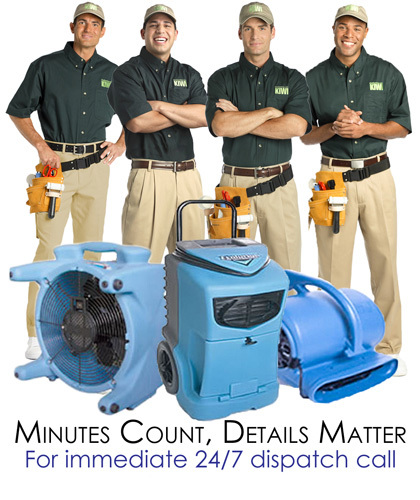 Our clients love how we’re able to make a bad situation so much better through our in-depth industry knowledge, a complete commitment to quality and an unfailingly positive approach toward every Fort Worth water damage service call we receive. When your home is water-damaged, the last thing you want to worry about is whether your flooring, furnishings and walls are in good hands. That’s why you need KIWI’s Fort Worth water damage restoration team; we have the experience, the tools and the expertise necessary to help you, and we do every job right.